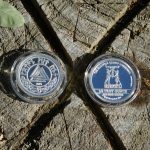 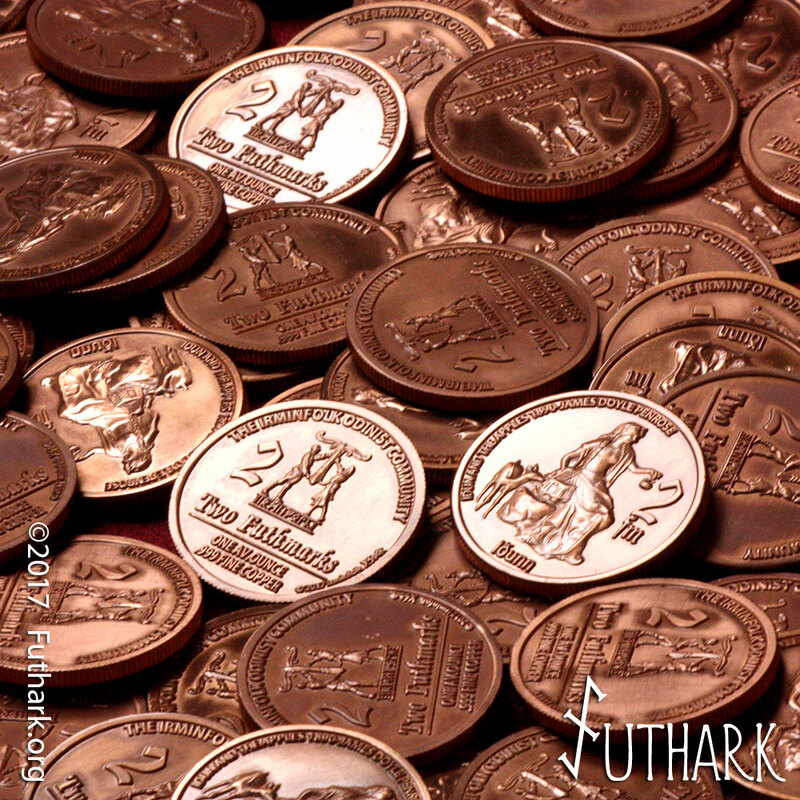 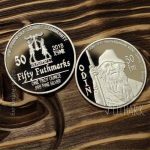 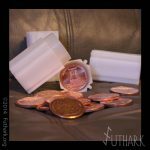 One ounce copper Futhmark Trade Medallions With Idun on the Obverse. 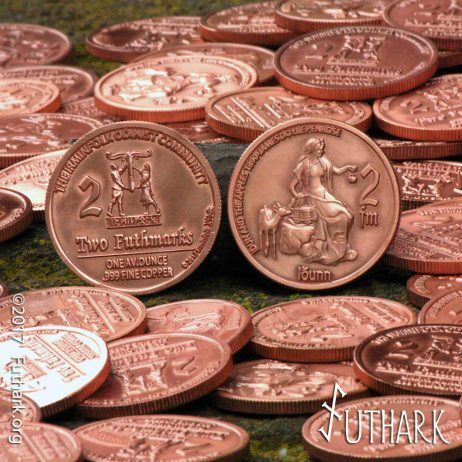 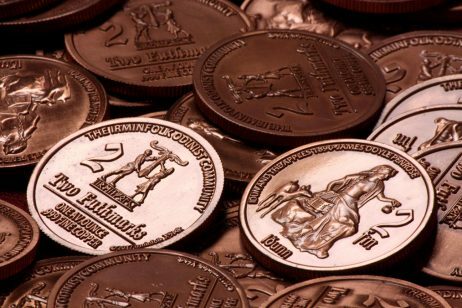 We are proud to introduce this one avoirdupois Ounce .999 pure Copper Futhmark coin featuring a scene inspired by the painting “Idun and the apples” (1890) by James Doyle Penrose on the Obverse, and the Irminfolk’s logo on the Reverse to our Futhmark line of coins. 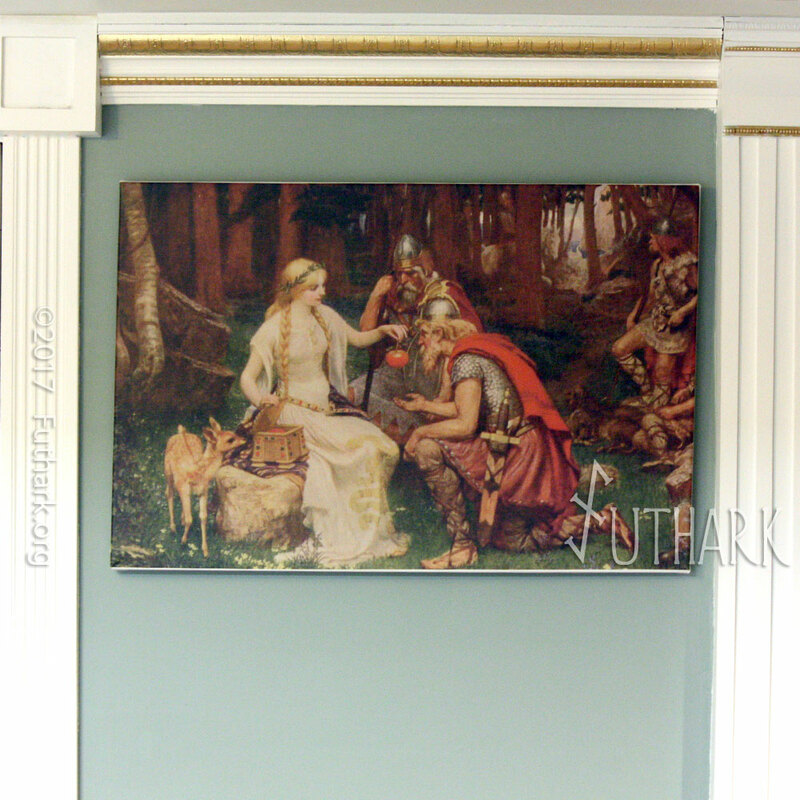 Iðunn, her name means the rejuvenating one; She is an Aesir goddess of spring and of Youth. Idun, wife of Bragi, resides in a garden in Asgard tending to a shining tree which produces the golden apples of eternal youth. 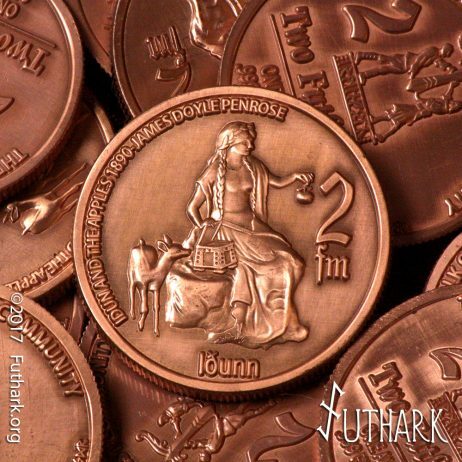 Idun’s golden apples are what keep the Aesir immortal. Based upon the 1890 painting by James Doyle Penrose, this 39mm trade medallion is the most finely sculpted coin we have created to date. Not only is it an attestation to your appreciation of the Sacred Feminine figures in our Lore, but also as an affirmation of a currency system that supports the folk. 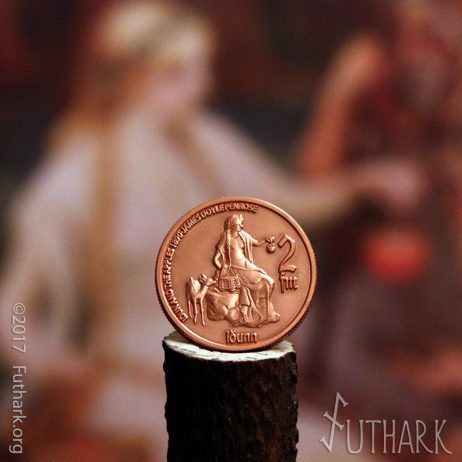 Deeply struck from 1 Avoirdupois ounce of .999 copper, this coin features Idun seated upon a stone in her garden, her long golden hair braided neatly beneath her floral crown. She plucks one of the golden apples of immortality from the ashwood box perched by her side, dispensing it to the awaiting Aesir. A fawn looks on beside her, representing grace and gentleness, wisdom and femininity. 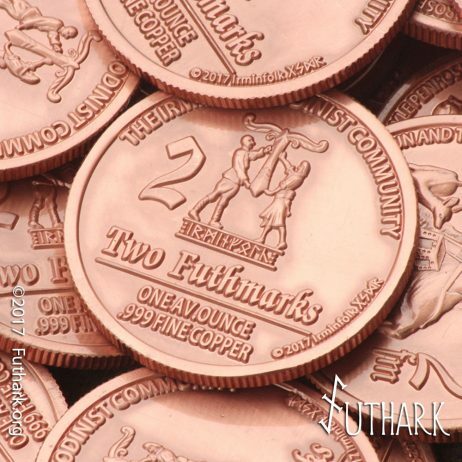 This coin is valued at 2 Futhmarks when used as an alternative currency, but also makes a great gift and a beautiful collectible.